Six startups have won a cash prize in the second round of the NewVenture business plan competition. Here is an overview of the winners AERspire, Corellian, Legify, McNetiq Controlock, ReSnap and ParkFlyRent. AERspire makes better-looking energy roofs. According to the startup, current solar roofs are not pleasing to the eye, and the AERspire roofs will change this. The startup is currently in discussion with end users, building companies and architects. Corellian is working on an aerodynamic underbody for cars in order to make them up to 10% more efficient. 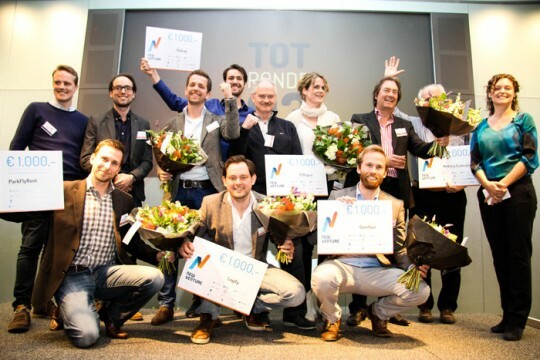 The company participated in the previous edition of the Yes!Delft launch lab. The company was co-founded by Mark Tullemans and Sander Kemna. Legify is a startup that helps Consumers and SMEs create free legal documents and consult lawyers at the best rates. The company is currently founded in Germany and has already expanded to several European countries. McNetic is a technique for creating connections between metal surfaces, instead of using welding or drilling. No website could be found for this initiative, so we will have to wait for more information in the future. 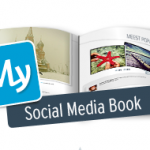 Resnap is a service that allows you to create a photo book in one minute, based on the most popular photos from your social network account. 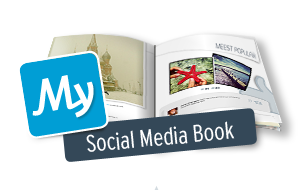 Resnap integrates several social media, adds infographics and makes a selection based on the most popular post. This makes the books from this service very different from the books of Pastbook, a Rockstart alumnus. ReSnap is based in Nijmegen. Like in the previous round, ParkFlyRent is the winner of the additional ANWB sustainability prize. This company combines the need of people to park their car at the airport with the need for rental cars. Instead of paying money to park your car, you are earning money by letting parkflyrent rent it out.